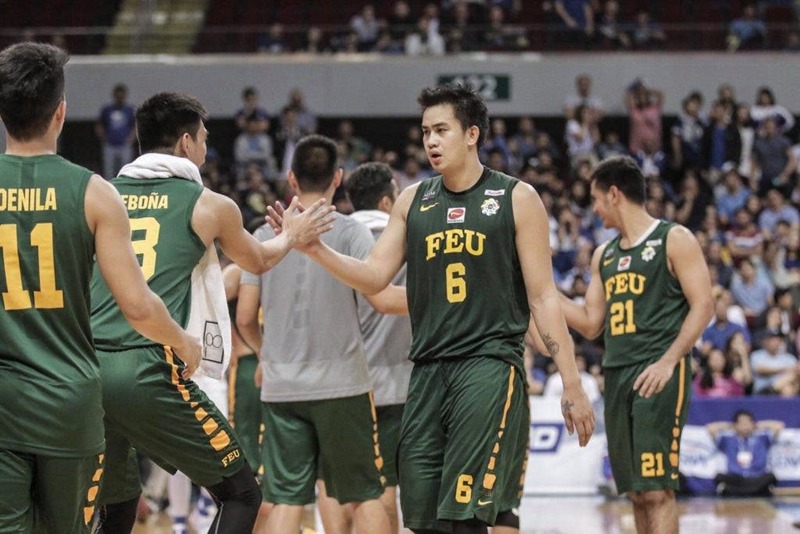 Raymar Jose got a nod of approval from his former teammates after an amazing performance in Far Eastern University’s 62-61 victory over Ateneo last Saturday at the Mall of Asia Arena. Playing in front of former Tamaraws and now PBA stars in Mac Belo, Mike Tolomia and Roger Pogoy, Jose played the game of his life as he scored 20 points and grabbed 23 rebounds allowing the Tamaraws to forge a do-or-die affair on Wednesday for the opportunity to face La Salle in the Finals of UAAP men’s basketball tournament. “Grabe yung heart niya,” said Belo who was Jose’s frontline tandem when the Tamaraws ruled the 78th season of the UAAP. “Pero hindi naman na ako nagulat kasi ginagawa na naman niya yun dati sa practice. Grabe yung hugot niya pagdating sa game kasi grabe rin naman ‘yung training niya sa practice,” Belo added. It was the second time Jose grabbed over 20 rebounds in a game, the first one during their second round encounter against University of the East — a game where Jose grabbed a total of 22 boards. That’s an amazing feat in itself as Belo, as dominant as he was in the UAAP, never grabbed 20 rebounds in one game. “Never ako nag 20-20. Si Raymar, dalawa pa,” Belo said. For Tolomia and Pogoy, the key was the team’s willingness to carry on even despite going down big in the third period. It was pretty much reminiscent of their Tamaraws team last year where they’d grind out victories even if nothing is going on for them. “Grabe ang ganda tignan ng laro nila. Ayaw nlang magpatalo ngayon. Yung puso maglaro andu’n. Kahit lamang na ‘yung kalaban, ayaw pa rin magpatalo,” Pogoy said. And if Tolomia’s to be asked, that all started with Jose’s willingness to do the dirty job for his squad. “Ayaw magpatalo, lalung-lalo na si Jose. Nakita ko talaga na siya ang nagdala sa team kasi mga ilang minutes, walang maka-score, pero nagtiis lang sila. Tapos si Jose sinimulan niya sa rebounding talaga,” Tolomia added. Smelling blood, all the three can do now is to watch and cheer on their younger brothers as the Tamaraws look to eliminate the Blue Eagles for the second straight time. Belo hopes that Wednesday will not be the last time he’ll be cheering for this team.